VERNON, NY-After several rounds of heavy rain showers hit the Utica-Rome Speedway and caused some flooding on the track and in the pit area this past Sunday, September 2, track management unfortunately had to make the tough decision to cancel. 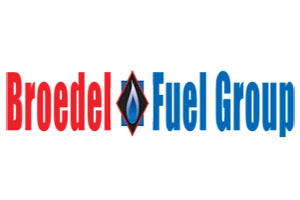 Scheduled was Broedel Energy Championship Night where the track champions in the DirtTrackDigest.com 358-Modifieds, Broedel Energy Sportsman, and Ted’s Body Shop Pro Stocks with the Lucas Oil Empire Super Sprints and Rookie Sportsman also in action. 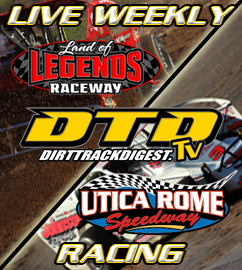 With the rainout, Billy Dunn will collect his first ever Utica-Rome Speedway track championship by surviving a season long battle among several drivers in the DirtTrackDigest.com 358-Modifieds. Marc Johnson would come up just 10 points shy to finish second in the standings, just ahead of Pat Ward, Jeremy Wilder, and Bobby Varin. Bobby Herrington, Rocky Warner, Billy Whittaker, Jack Lehner, and Lance Willix round out the top 10 in a very competitive field. Matt Janczuk came into the night’s action with no worries as he already clinched the Broedel Energy Sportsman title for the third consecutive season. Behind Janczuk in the final standings was AJ Filbeck, Dave Moyer, Charlie Tibbitts, Rocco Leone, Kyle Inman, Chris Cunningham, Stephen Denton, Taylor Lamb, and Jeff Taylor. 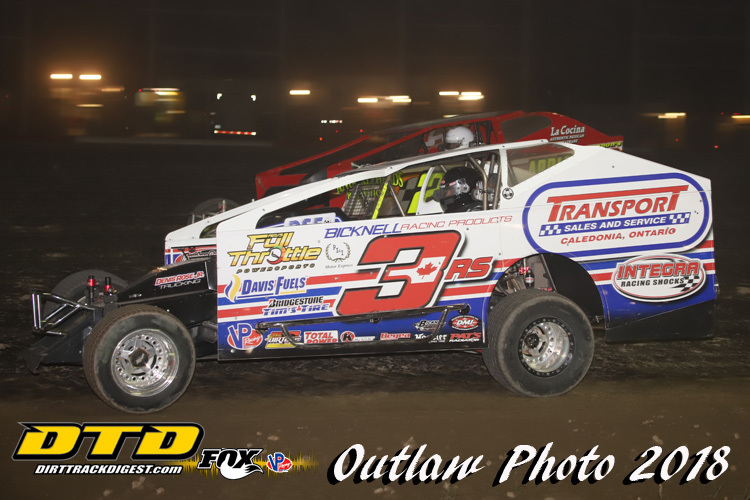 Like the 358-Modifieds, the Ted’s Body Shop Pro Stock title was undecided coming into this past Sunday until the rain came as Travis Welch held just a six point edge over defending champion Mike Welch and Shane Henderson. Bill Knapp, Mike Kazlauskas, Ernie Staelens, Jerry Streeter, Aaron Page, Pete Stefanski, and Frank Hyatt fill the remainder of the top 10 positions. The next event on the Vernon half-mile oval is on Tuesday, October 2, for the annual Super DIRT Week Pre-Game event featuring the DIRTcar 358-Modified 100-lap Series event, the Cole Cup for the 360 Sprints, and the DIRTcar Sportsman Fall Championship Series. Gates will open at 4 p.m. with racing set for 7 p.m.
For more information on any remaining events at the Utica-Rome Speedway in 2018, you can log on to www.uticaromespeedway.com or follow on Facebook or Twitter. The speedway office can be contacted by calling (315)829-4557.